Thursday was quite the interesting Spirit day for me. It was the third Thursday of my Spirit Guides and Angels 101 class and I decided I’d meditate one last time before class and that’s when it all started. I was meditating on my cave but my mind’s eye traveled back to my apartment because I had a guest. Not an Angel, not a Spirit Guide, an…Entity. Startled, I tried to send it away with my usual blessing but it stayed, which made me wonder who was here to hang out. At the request of Raven and Amanda, I took my Linestrider and asked who was visiting me and what they wanted. 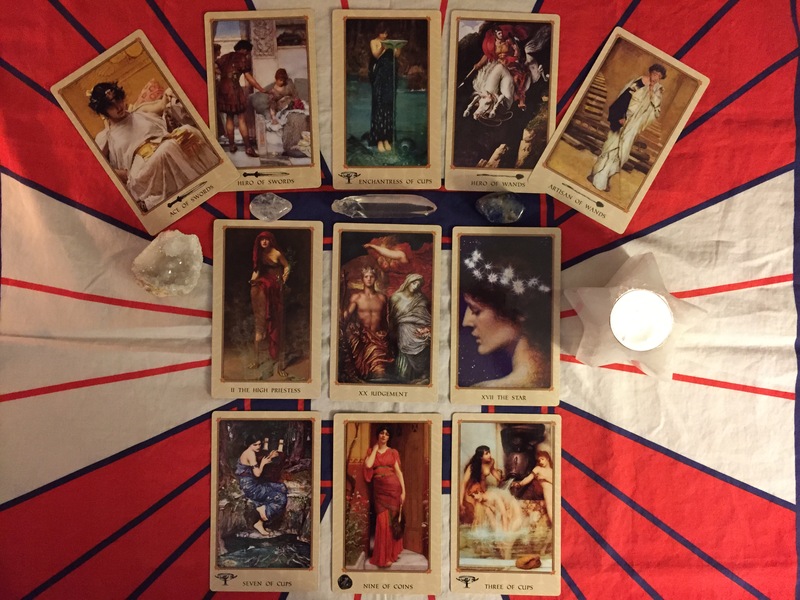 A wonderful Instagrammer by the name of Colleen (@dawn_wand_tarot) shared this beautiful spread for determining who your Spirit Guide is and what are they here to show you. I decided that I would give it a go after my third Spirit Guides and Angels 101 class with Amanda Meder and the results were pretty interesting! 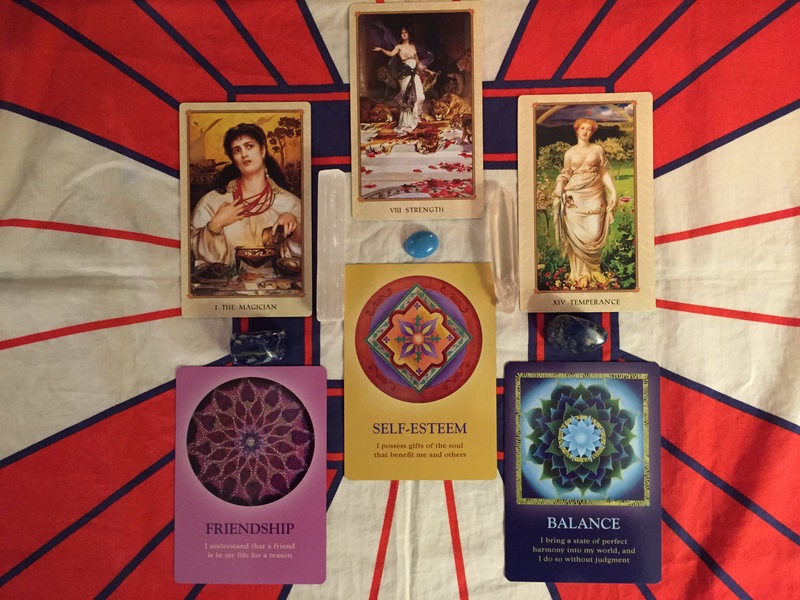 This genius spread was created by Kristen, who kindly shared it at the ATN. I have been secretly waiting for an opportunity to use it and I guess the Five of Coins has a very important message for me to hear! Over on the ol’ Tumblr space, I’m taking part in WolfMoon Tarot‘s 3-Card September. I had so much fun participating in 3-Card June that I had to give it another go! 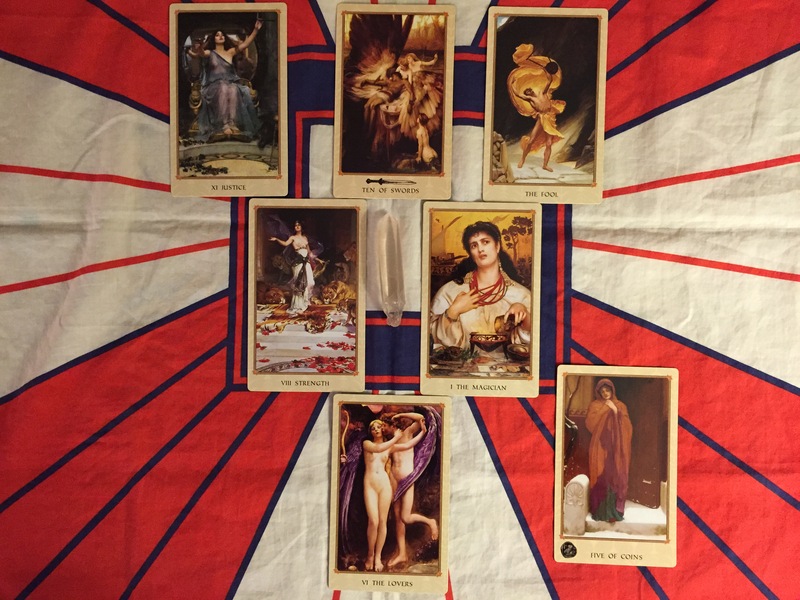 What are the beautiful new cards accompanying my beautiful Tarot of Delphi? They’re the Soul’s Journey Lesson Cards. I had been seeing them in practically every post on Instagram! IGer fabianslight used them in a beautiful reading for me so I was intrigued. I couldn’t find them at my regular Metaphysical store (maybe out of stock when I went?) so I had been planning on ordering them. This morning, I went to pick up a new Self-Love September journal (my old one isn’t working for me for some reason) and I found myself in the New Age section. There, I was checking out the Angel Oracles – something that has been on my mind lately. I’m in the market for an Angel Oracle but none of the ones on the shelves were speaking to me. As I started to walk away bummed out, I looked over at another section and there they were: the Soul’s Journey cards! Of course I snatched them right up! 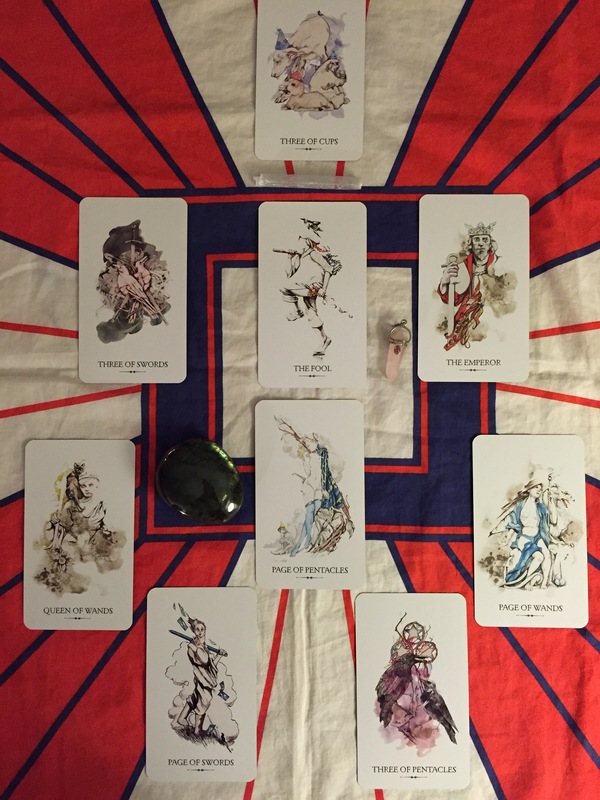 I gave them a good Sage cleanse and added them to my 3-Card September reading. Let’s take a look!